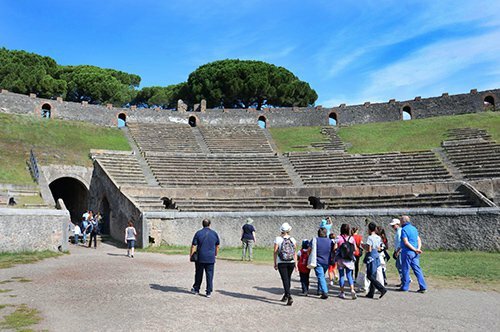 Depart from Rome and spend a day discovering Naples and Pompeii!  Pompeii: enjoy your tour with a private guide! 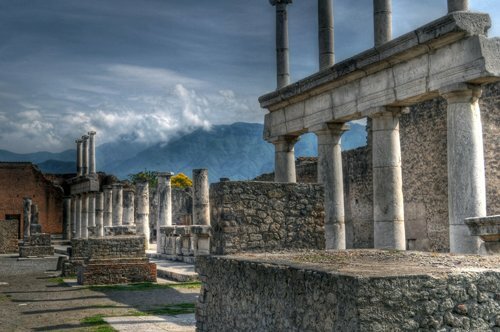 Dedicate two hours to the discovery of Pompeii and its history with a guide only for you! Because the excavations have returned us a world buried in the past, a world preserved to perfection that has allowed us to know the life of the inhabitants of this Roman community, a daily life preserved in time that has increased our knowledge of history. Because when you visit Pompeii, you will be surprised by the humanity that the place is capable of transmitting and at the same time, the tragedy suffered by the inhabitants of this important city of the Roman Empire. Pompeii was founded around the 8th century BC by the Osci who initially formed 5 villages on the southern slope of Vesuvius and then unified them into a single walled city. In this period, Pompeii was established as a very important commercial center, which entered into the expansionist ambitions of the Greeks and the Etruscans who influenced its architecture. With the arrival of the Samnites, the walls of the city were enlarged, thus marking a great urban development. Later, it was conquered by the Romans and became part of the Roman economic circuit, specifically in the last quarter of the 3rd century BC. As the Mediterranean was under the control of Rome, the products in Pompeii could circulate freely, being able to export to Provence and Spain their production of wine and oil. With the Romans, it had a strong architectural impulse, the rectangular Forum, and the Triangular Forum and important buildings like the Temple of Jupiter, the Basilica and the House of the Faun with the dimensions of a Hellenistic palace were built. The Temple of Isis was built as a clear testimony of the commercial exchanges between Pompeii and the East. Under the rule of Rome, Pompeii first became a municipality and then a colony ruled by the dictator Publius Cornelius Silla. During this period many lands were confiscated to be ceded to the veterans who had contributed to the conquest of the city. After Pompeii became the "vacation residence" of the Roman patriciate, buildings such as the Temple of Fortuna Augusta and the Eumachia Building were built. During the earthquake of 62 AD, the empire of Nero and Campania suffered much damage. The Roman Senate ordered its reconstruction, but on August 24, 79 AD, a disastrous eruption of Vesuvius completely erased Pompeii and with it Herculaneum, Stabia and Oplonti. There was no escape and the flourishing Pompeii was buried under a cover of lava that cemented the inhabitants and destroyed all kinds of life. Pompeii is an Italian municipality of the metropolitan city of Naples. Since the end of the 18th century, the remains of the ancient Roman City were brought to light. The archaeological studies have allowed reconstructing the style of life in the Roman period and in 1997 the UNESCO declared the archaeological site of Pompeii and those of Herculaneum and Oplonti as a patrimony of the humanity. Today Pompeii, with its 60 hectares of open-air excavations, is one of the largest archaeological sites in the world. The archaeological site of Pompeii is a testimony to the lifestyle of the city of the time, which today seems to be quietly asleep under the volcanic dust. Did you know that the ancient inhabitants of Pompeii left thousands of incisions on the walls? As it happens today, the inhabitants of Pompeii made graffiti and drawings that filled the walls and that even today it is possible to admire walking among the ruins. Did you know that Pompeii was buried with 6 meters of fragments of lava and ashes which allowed to preserve the integrity of this town? Many houses and objects of common use were sealed and were stopped in time, protected from wear under pyroclastic deposits. Did you know that the real fun of the inhabitants of Pompeii were the thermal baths? In fact, the inhabitants of this ancient Roman City spent a lot of time in these ritual baths, alternating cold and hot baths, swimming, doing exercises in the gym, but above all, they loved meeting friends and chatting! Pompeii was one of the largest and most splendid cities of Roman times, as we can see in the imposing archaeological site. Pompeii was a rich city thanks to the great production and export of oils and wines for the Roman aristocrats when it became part of the expansion of the future capital of Italy. The Amphitheater of Pompeii is a building dating from 80 BC, while the first Roman amphitheater "Statilio Tauro" was built in 29 BC. In the excavations of the Pompeii amphitheater, no underground structure was found under the floor of the arena, as was the case with the buildings of the imperial era. At the end of the road that takes you to the Amphitheatre is Via dell'Abbondanza, the most important street in Pompeii. Walking along this road you will reach the Teatro Grande (Great Theater) and the Teatro Piccolo (Small Theater). The Teatro Grande was built in the 2nd century BC with a capacity for 5,000 spectators. This theater is connected to the Teatro Piccolo that was used for musical presentations. Always following Via dell'Abbondanza, you can reach the Forum, which was the economic, political and religious center of the city, a place where public debates and religious events were held. The Forum was the true heart of the city from where you can see the remains of the Temple of Apollo, the most important and ancient religious place that was in Pompeii. The statues of the deities found in the surroundings have been transferred to the Archaeological Museum of Naples. During your visit to Pompeii, you can not miss the Antiquarium, an archaeological museum with numerous finds from the archaeological excavations of the ancient city, which will allow you to discover aspects of Pompeian society during Roman times. The Excavations of Pompeii are 40 minutes from Naples by train, so you can take advantage of and visit this unique city in the world. 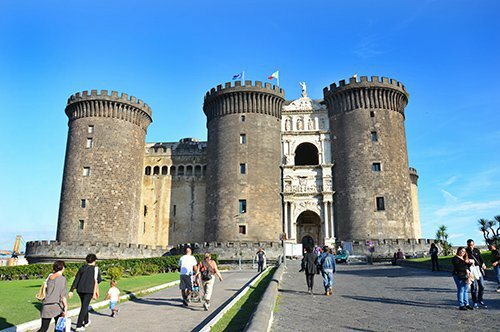 Remember also that Naples is an hour and a quarter by train from Rome, the "Eternal City" with its wonderful Roman Colosseum.